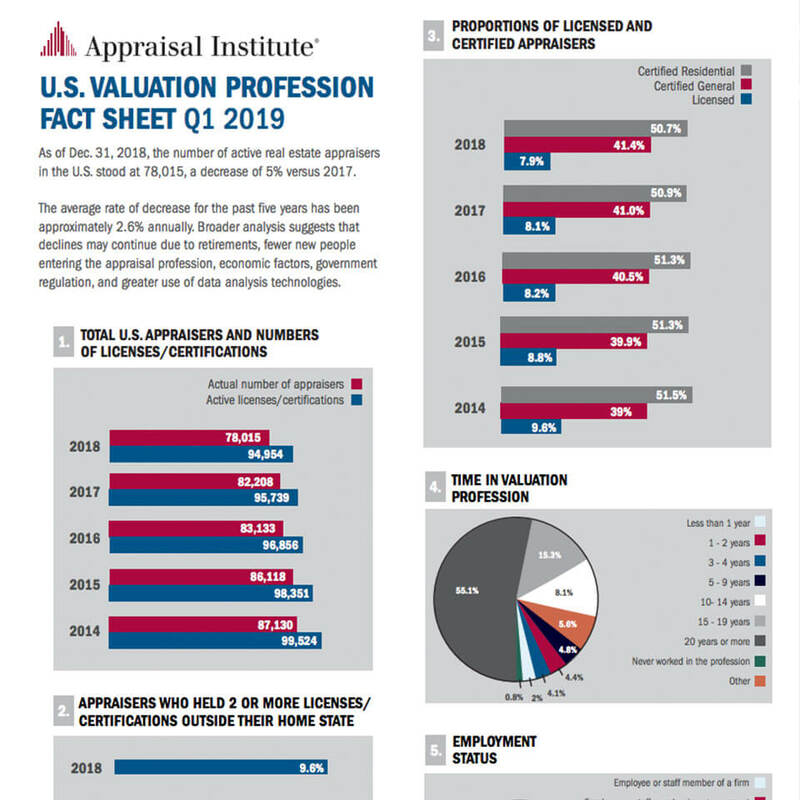 As of Dec. 31, 2018, the number of active real estate appraisers in the U.S. stood at 78,015, a decrease of 5% versus 2017. The average rate of decrease for the past five years has been approximately 2.6% annually. 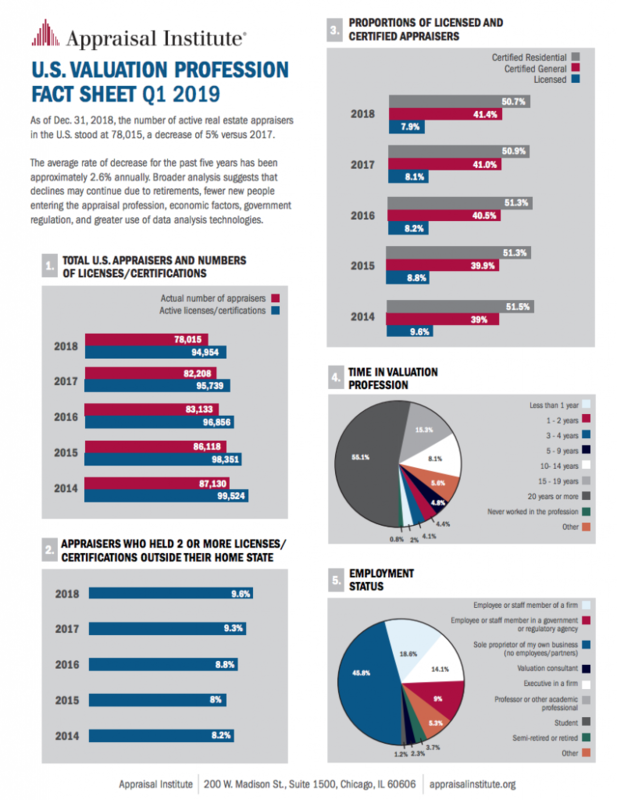 Broader analysis suggests that declines may continue due to retirements, fewer new people entering the appraisal profession, economic factors, government regulation, and greater use of data analysis technologies. The Appraisal Institute is the World’s foremost organization for professional real property valuers. AI fosters and promotes the highest standards of practice through its designation programs, peer review process, education, research and publishing.